Picturing Disney began in November 2011. It started out as a simple photoblog and has evolved into much more. Our posts are still bright, colorful, and picture-filled but our niche is lifestyle, travel and entertainment with a magical Disney flair. We are committed to bringing the best of Disney Style, Books, and Must Haves to our readers. 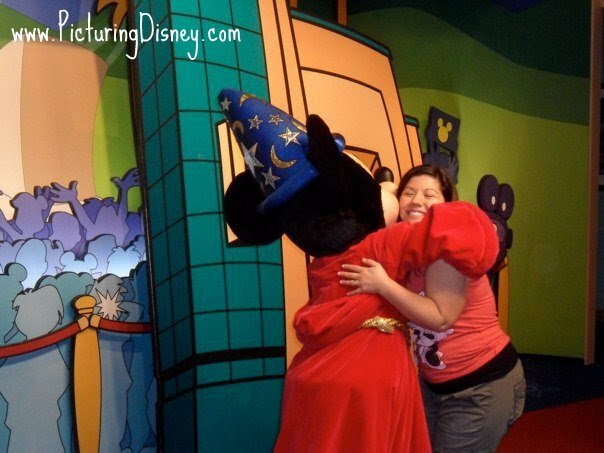 Picturing Disney features some of our favorite tips and ideas for planning your own memorable adventures! The one thing you will not find here is regurgitated news that can already be found on the amazing Disney Parks websites! We work hard and since this blog is at heart a love letter to Disney World everything we post comes from ours. Melissa is a lifelong lover of fairytales and a hopeful romantic. She got engaged in front of Cinderella's Castle on the last full day of her 12th trip to Disney World in 2016 with a photopass photographer and her kids there to see the whole thing! She believes in karma, and that love can change the world. Melissa loves to travel and explore new places. Her top 3 favorite places in the world are: the Grand Canyon, Urquart Castle in Scotland and the top of Corcovado Mountain in Rio de Janeiro. When she isn't vacation scheming or teaching history in New York, Melissa loves art and music and spending time with all the beautiful, brave people in her life.Monique, is a Disney-loving, twenty-something that has been a fan of the magic since she could remember. She confesses that her husband, Gus, is the WALL•E to her EVE. Monique loves sharing her knowledge of Disney Parks, Disney History, and just about anything the light touches in Disney's Kingdom. She currently juggles working in health benefits and making dreams a reality through her custom event stationary company Only One Mark, Inc. Wonderful World of Disney back in the 70's. Disney sparked her imagination on Sunday nights. Just the sight of spunky little Tinkerbell flying around the screen with her wand instantly helped fend off any lurking Sunday night blues. These days she is happily introducing a love of Disney to her son! Check out her site Kid Congeniality! Tara is a Photographer, Mommy to a future art prodigy @cjseesart and a Frenchie named Lola. Obsessed with Disney, she managed to work the Mouse into her grad school thesis. Tara and her family are DVC members who visit the parks as often as possible.